Разстояние до летището 330 м.
Имате въпрос към Pai Vintage Garden Resort? Удобно разположен в Пай, Pai Vintage Garden Resort е чудесна стартова точка, от която можете да започнете да проучвате този оживен град. Разположен само на 1.2 km от центъра на града и на 0.3 km от летището, този 3-звезден хотел привлича всяка година множество посетители . С удобното си местоположение хотелът предлага лесен достъп до всички градски забележителности, които задължително трябва да се видят. Съоръженията и услугите предлагани в Pai Vintage Garden Resort гарантират Вашия приятен престой. Хотелът е оборудван със съоръжения като безплатен WiFi достъп във всички стаи, Wi-Fi връзка в общите части, паркинг, семейна стая, перални услуги. Атмосферата на Pai Vintage Garden Resort се усеща във всяка стая. Удобства като достъп до интернет (безжичен), стаи за непушачи, климатик, бюро, балкон/тераса са само някои от даденостите на обекта. Хотелът предлага прекрасни развлекателни съоръжения, такива като градина, които ще направят престоя ви незабравим. Каквато и да е причината за Вашето посещение в Пай, Pai Vintage Garden Resort е идеалното място за една вълнуваща почивка далеч от всичко. 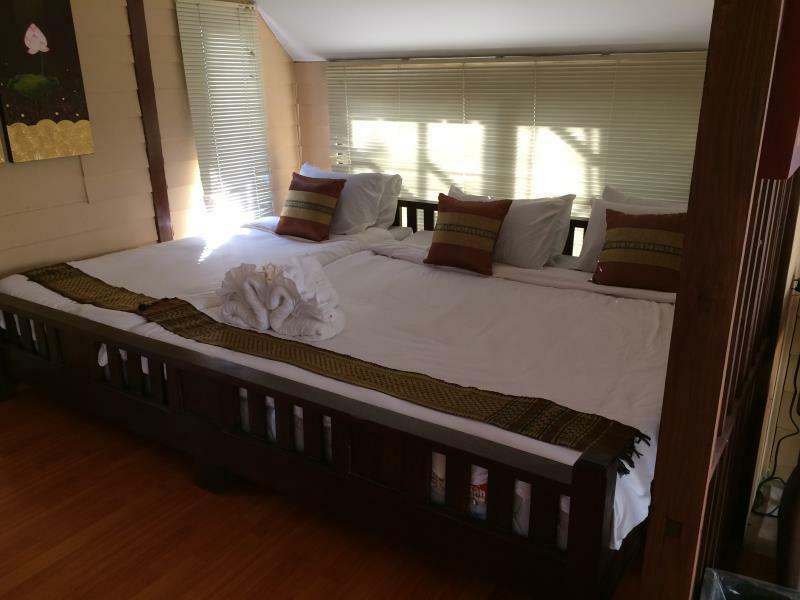 My friend and I stayed at pai vintage garden resort for 3 nights and had a great stay. 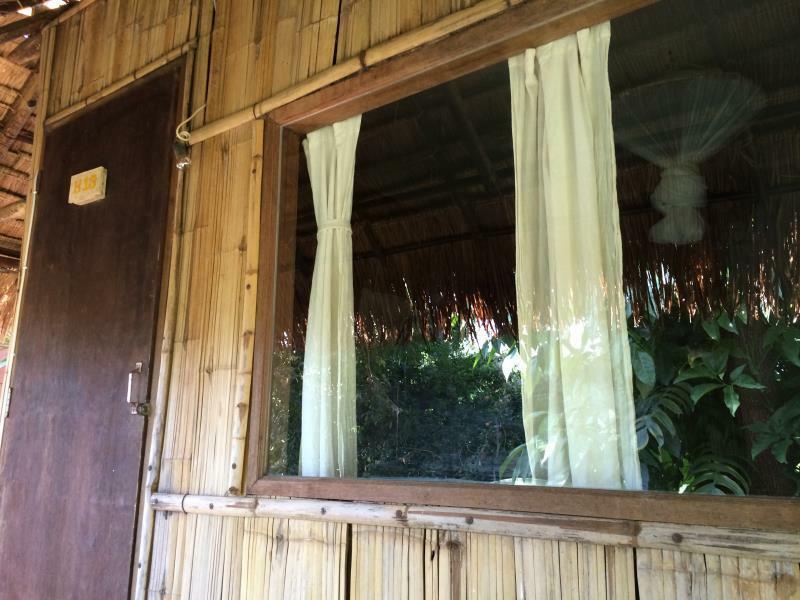 The bungalows are so cute, comfortable, and clean and the staff are so lovely and helpful! They provide a shuttle service to and from town which was so kind of them and very helpful for us. Would highly recommend staying here! I stayed for a few nights and really enjoyed it. The staff are amazingly helpful and always made sure things were going well with the stay. I really enjoyed the atmosphere of the place...kind of a cozy garden type feel. If there is a drawback to this place its that the walls are super thin so you can hear everything outside while inside. Not that big of a deal. I am one that gets to bed early while the other guests around me were enjoying themselves outside late at night. It didn't really bother me but if you REALLY want piece and quiet it may not suite you the best. The value is incredible though. Good location, Affortable price, Lovely space. Especially I like that small garden it is small but so beautiful. All of staff was so nice and sweet and everyday they clean the room and change the towels. I came for two days as a solo traveller and extended for six more days. 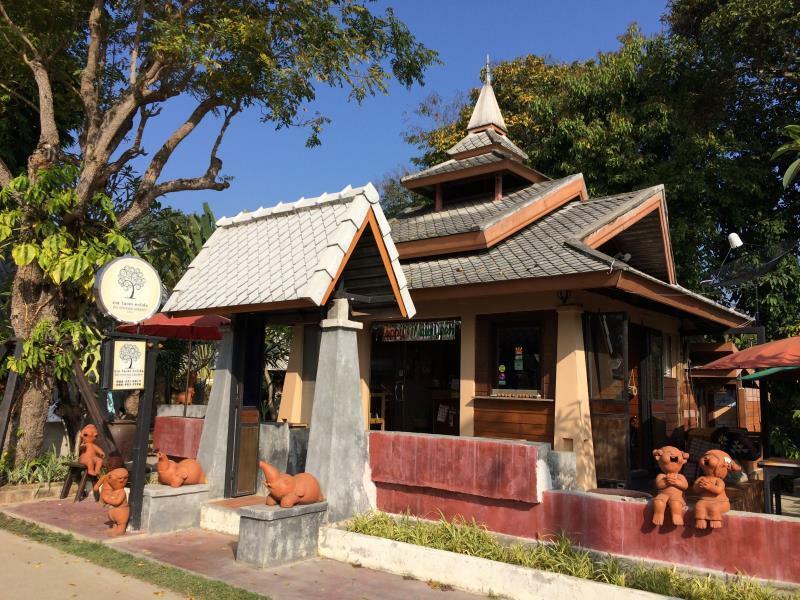 The grounds are peaceful, breakfast is delicious, and most importantly the staff is helpful, kind, and exhibited the BEST customer service that i have had since coming to Thailand. The staff are also incredibly helpful. The night before my last night, I got REALLY sick from something I ate at the night market, and the manager took me to the pharmacy and back. Without his help I do not think I would have recovered as quickly. Thank you for an incredible stay! I will be back!!!!! i loved this location, even though it was a little bit cool during the winter time, when I went in December. The staff was very helpful overall, and took great care of us. It also was nice and quiet, perfect for my mother and I. It was such a wonderful experience. The host is super nice and give us a ride to literally anyplace we need to. A rainy day he picked us in the middle of the city and helped us to took back our motorcycle. The environment here is so lovely and the room is nice and clean. You can hear the sound of the nature in the middle of the night. Such a wonderful experience in Pai. I will definitely come again to this place if I visit Pai again. Only 5 min away to walking street with tuk tuk. Prepare mosquito repellent. This place a lot of mosquito. Though a little far away from the centre, the surrounding area is beautiful and worth walking 20 minutes to town (though every time you leave you grounds you will be offered a lift anyway). 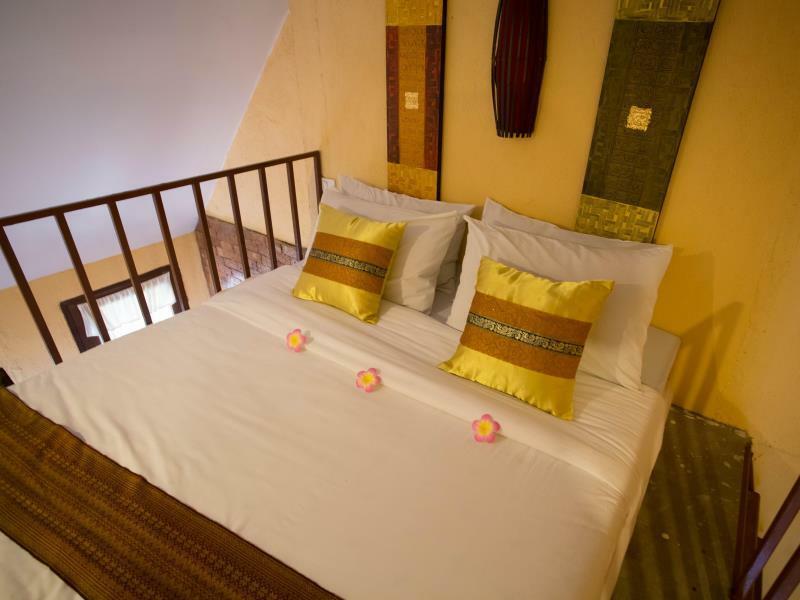 The staff here are the most authentic and friendly people i came across in all of my travels around Thailand, and are very happy to help you with any queries. It gets a little cold at night with the huts being made from wood, so it's a good idea to bring extra layers to sleep, though i imagine you would probably be accommodated if you where to request another quilt. I'll be in Pai again at some point, and i'll stay here. This hotel is great. The photos on the Internet don't do the garden area justice. But what made it amazing was the staff's willingness to go above and beyond. There are too many examples to list. The young man helped me decide where to do some touring and helped me find some off-the-beaten-track options. The hotel had scooters to rent for the same price as the outfitters in town, but with less hassle (I didn't have to leave my passport or put down a crazy deposit) and Vintage Garden's scooters were in much better condition. I would stay here again and again. The staff was really friendly and helpful. We booked a standard bungalow, but when the rain started we noticed drops of water coming down from the ceiling. 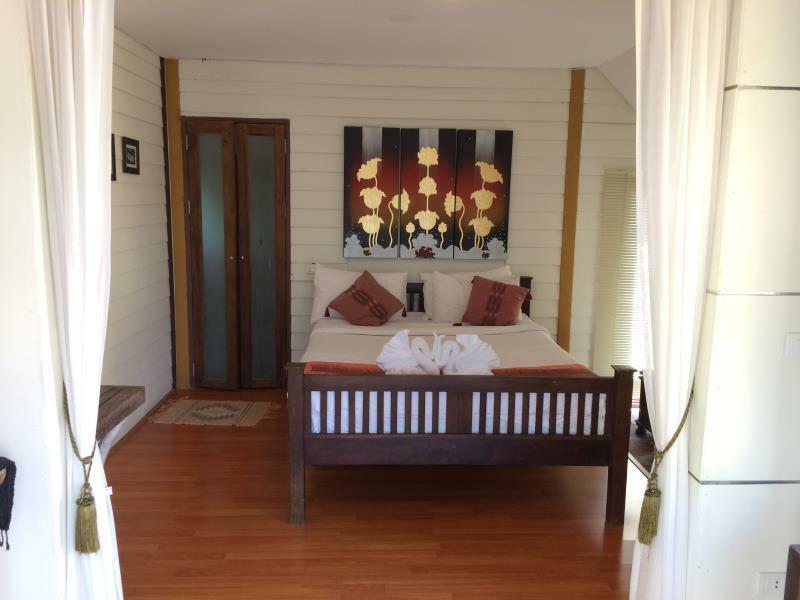 We report this to the staff, which immediately change our bungalow for deluxe one. The breakfast was good and they offer coffee, tea, water and toast for free. Also they offer free transfer to and from the bus station or anywhere in the town. Rooms are clean and the room service is done daily. Good value for money. free shuttle to night market and the staff is very nice.. Very peaceful and lovely place to stay in Pai. Staff and owner were extremely friendly and helpful. 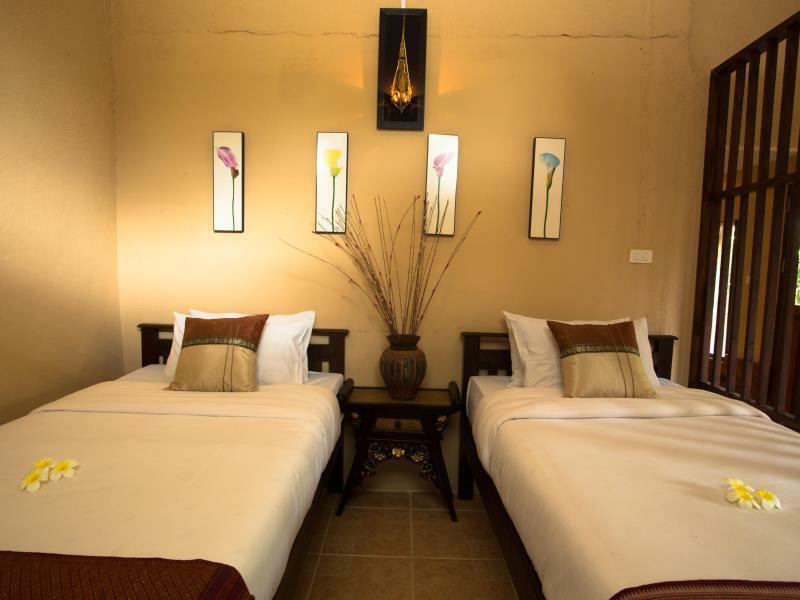 The place was charming and the staff were friendly and very helpful.